Simpson Heating & Air is proud to serve the Gnadenhutten community! 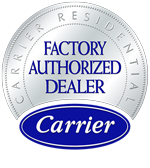 About Gnadenhutten, OH - Happy to be your hometown Heating & Air Conditioning Contractor! Known as the oldest existing settlement in Ohio, Gnadenhutten is located in Tuscarawas County along the Tuscarawas River. The name is German and translates to “huts of grace.” This community was founded as a settlement of Lenape Native Americans and German Americans. The village stayed neutral throughout the American Revolutionary War, but in 1782 it was home to the Gnadenhutten massacre. Gnadenhutten exhibits the characteristics of a humid continental climate zone, which is typical for the Great Lakes Region. Summers are hot with high humidity levels, while winters are cold and prone to frequent snowfall. This tiny community is not home to many attractions, although the Gnadenhutten Park and Museum and Hecks Grove Park are located here. More notable sites of interest and things to do are located in nearby communities. 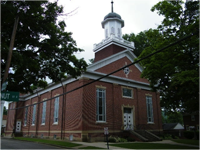 Neighboring New Philadelphia is home to the Schoenbrunn Village and the Performing Arts Center, while Dover, Ohio offers attractions like the Warther Museum and Carriage House Museum.